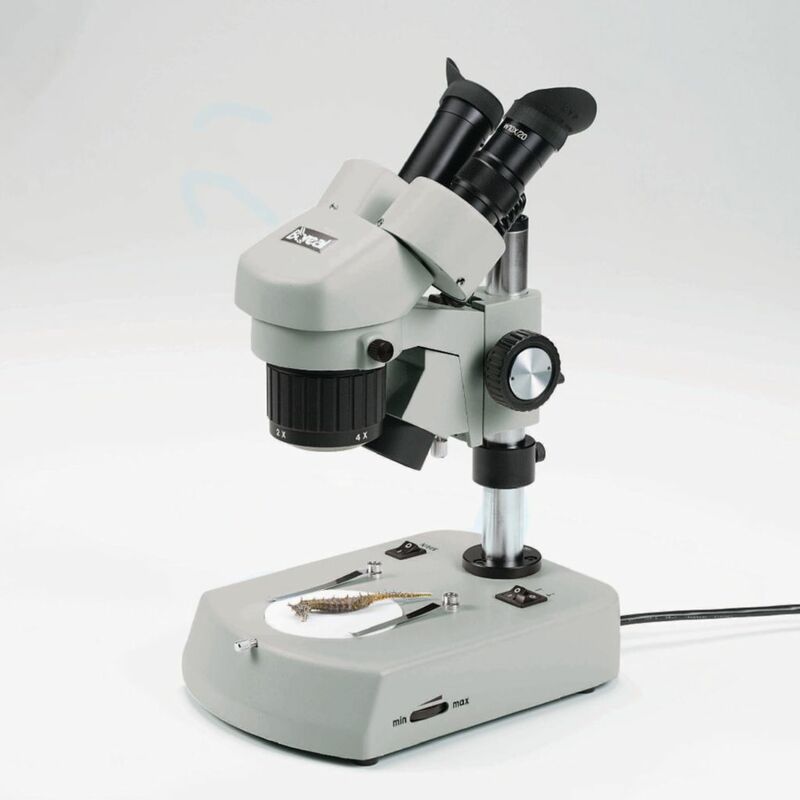 This sturdy microscope is made of solid metal and coated glass optics. Features include an inclined head for viewing comfort, a full-size body at 30 cm, and an easy-adjust collar for precise control of focus tension. With rack and pinion focusing with slip clutch, die-cast metal construction, and a reagent-resistant finish, this stereomicroscope is durable. It has turret-mounted 2x and 4x or 1x and 3x parfocal objectives for quick magnification changes, an inclined head for viewing comfort, and a dual illumination system for clear specimen lighting. The paired 10x wide-field eyepieces have removable, soft eyecups to help shut out peripheral light and are mounted in eyetubes with interpupillary and diopter adjustments. Ordering information: This microscope includes a vinyl dust cover.